Chiang Mai is the digital nomad central of Thailand and this is apparent in the city’s vibrant, youthful energy. Travelling with large backpacks is quite the norm here and there is a large presence of Westerners too, whether it be for work or travel. It’s a very multi cultural city with a lot to offer and there is something for everybody. In this blog article, I will share with you my best tips and recommendations for activities, day trips, food, transport and accommodation in Chiang Mai. The main city centre of Chiang Mai is easily located within ‘the square’ - this is where you find the majority of the temples, old town, markets and attractions. Of course there is much more to Chiang Mai than just the city as it’s surrounded by beautiful mountains, rivers and nature - so there are plenty of great day trip options just outside the city, which I will share with you further down. But in this section, I will just outline what you can expect within the boundaries of the City Square. Some noteworthy temples or sights include: Tha Phae Gate, Three Kings Monument, Wat Chiang Man, Wat Phra Singh, Wat Chedi Luang, Wat Phantao, Wat Ched Lin. They are all situated within the ‘Square’. It’s literally market day, every day. Due to our extended stay in Chiang Mai, we were able to explore most of them. Our conclusion? Well, the majority of the ‘big markets’ - like Night Bazaar, Saturday Market etc. - are very similar in what they offer and obviously very touristic and inflated in terms of price. Bartering will become an essential part of your Market experience. You can find basically everything you need from food to clothes, gadgets, bags and accessories. 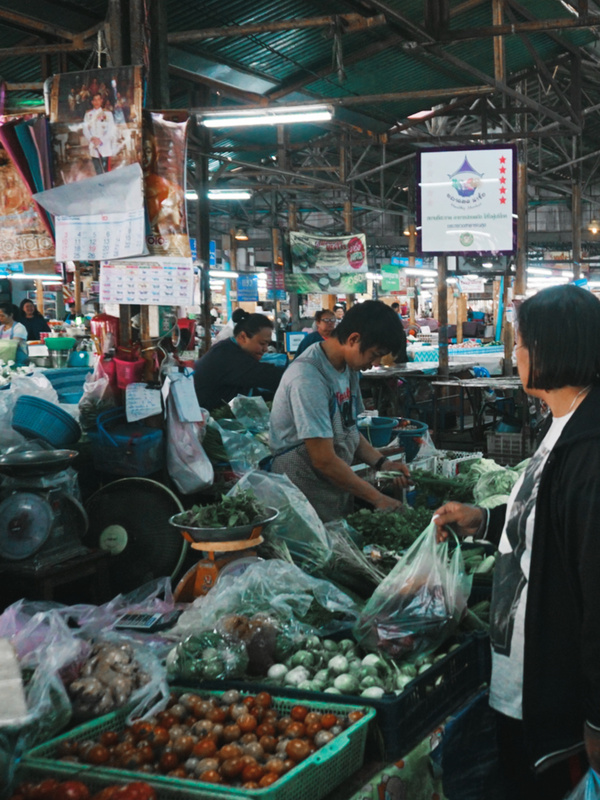 There are also many smaller local markets where you can buy fresh produce and food, and the prices are much much cheaper than the touristic night markets. 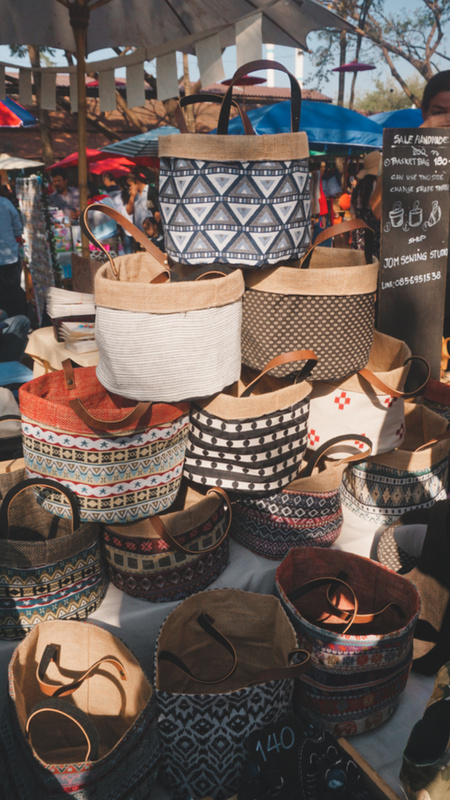 Hands down, our favourite market was the Sunday Market, also called the Jing Jai Market. I have included more information about this down in the food section below. Cool vibes with very nice decor, as you can see in the photos. They serve some great food and drinks, albeit the prices are a little higher than average. Location is fantastic as it’s right in the city centre. They also offer very high end accommodation. My favourite market in all of Chiang Mai. It has the most beautiful vibes with live music in every corner, fresh produce and hot foods, eco-friendly clothes and products designed by the locals… there is so much to see - you can easily spend your whole morning here. I would recommend getting here around 7-8am to avoid the crowds and enjoy the calm morning scene. It is about 30mins walk from the city centre. 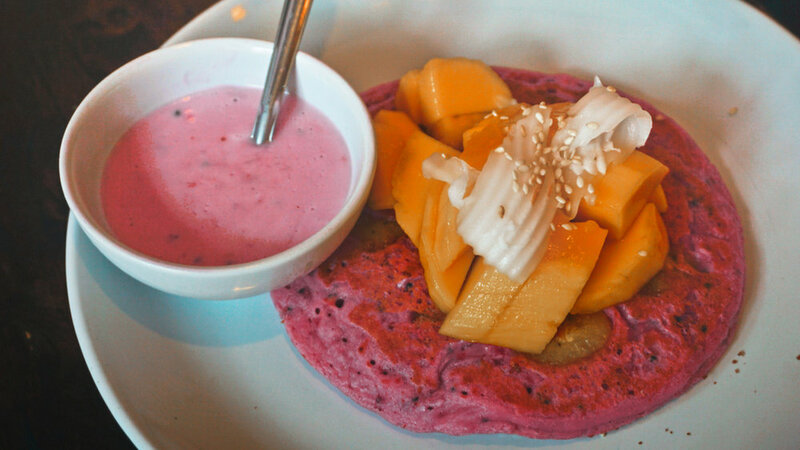 One of the highlights in Chiang Mai is certainly the food and market scene. Many Westerners visitors tend to shy away from the local markets and street food due to fear of hygiene and quality issues, but in fact they tend to be the cheapest, most authentic and most delicious, in my opinion. 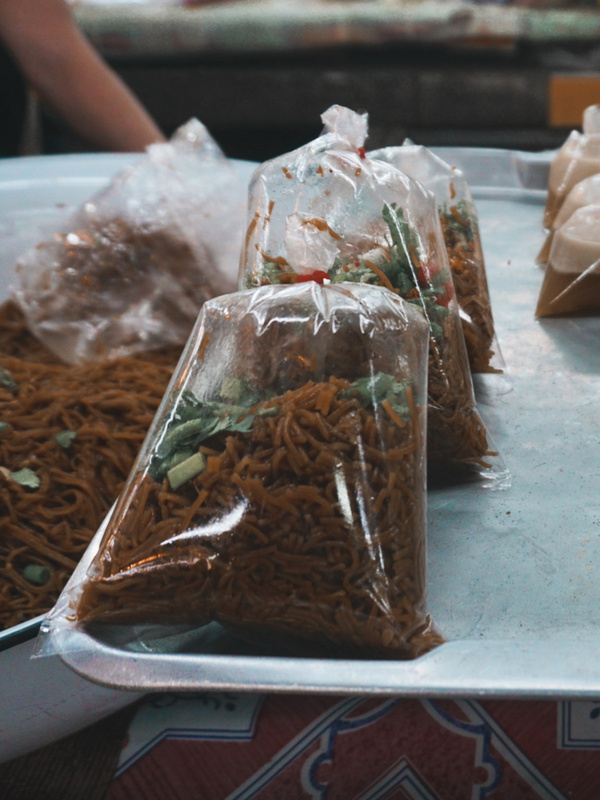 You will find street food and markets just about everywhere and on every day of the week (and night), the only drawback is that they serve everything in plastic bags, including hot soup, drinks and food. If you can, bring your own takeaway mug and containers so you can avoid the single use-plastic! Or ask for your food to be put on banana leaves (for free). 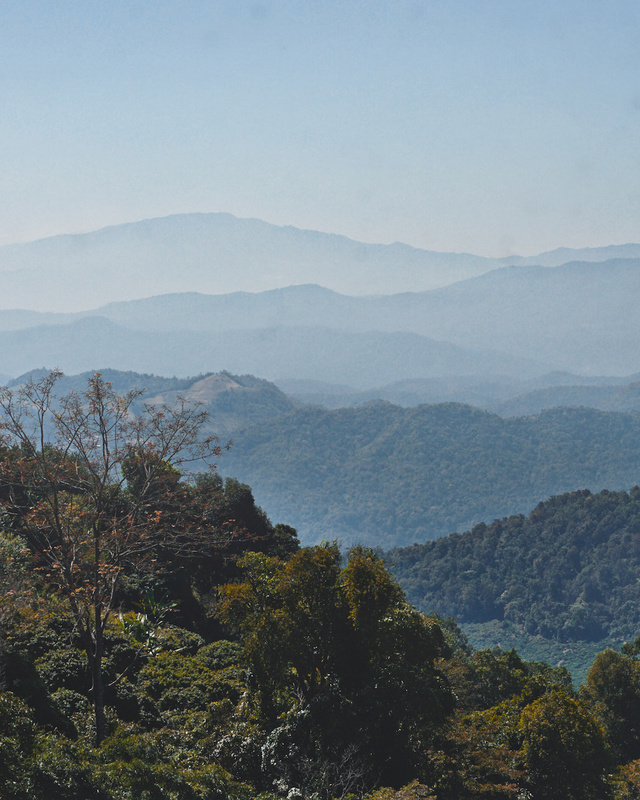 There are many beautiful side trips you can do from Chiang Mai. 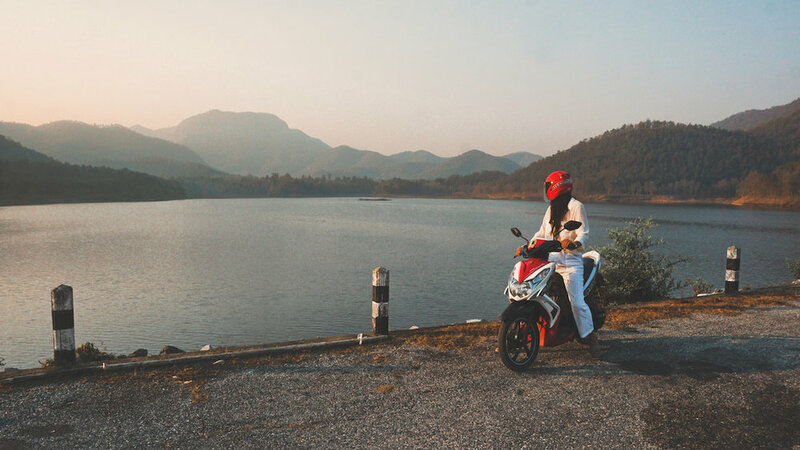 I would recommend hiring a scooter or private driver to get to these places so that you have more flexibility of your time - the private drivers also know the best spots around the area and are surprisingly not that expensive. Alternatively, you will find many tour providers in the city, but they usually like to pack those tours rather full. Another place I would have liked to visit is the village of Pai - it’s very popular amongst backpackers and is one that’s been frequently recommended to me. 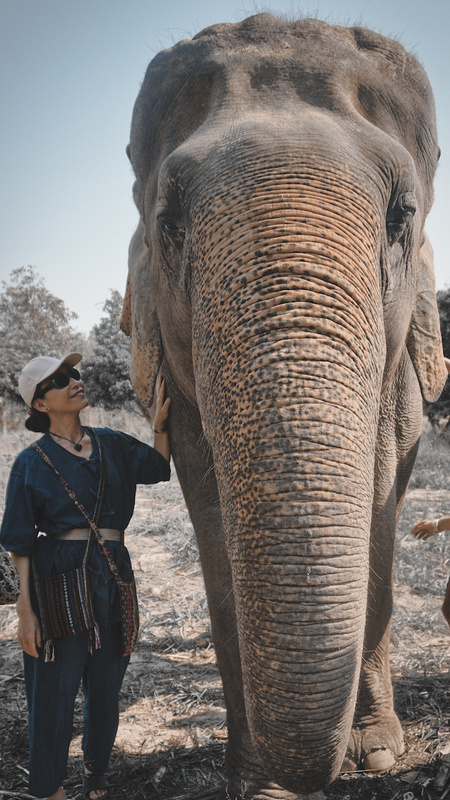 When in Thailand, a visit to an elephant sanctuary is a must! We went with the provider called: Maerim Elephant Sanctuary. But there are so many and you are easily overwhelmed by the sheer number of providers. Despite the decrease in elephant riding camps, there still exists many ‘disguised’ non-ethical camps - so I really encourage you to find an ethical provider and support the wellbeing of these magnificent creatures. About one hour from the city centre of Chiang Mai is the beautiful mountain of Doi Suthep. You could spend an entire day exploring the mountain as there are several walking tracks, look out points, villages with market stalls and food, as well as the famous Bhubing Palace. Most people stop at the Palace, but I would highly recommend going further to the quaint little Hmong Village, situated on the mountain tops with beautiful gardens, markets and food stalls. Surprisingly close but also far away, is Thailand’s highest peak at 2800m elevation. We left Chiang Mai at 3am and arrived here at 5:15am to see the sunrise (around 6am) before starting our day with a 3km hike along the Kew Mae Pan Nature Trail. We had a private driver for the day, who knew all the best spots. So after our hike, he took us to see the two temples of Doi Inthanon and the five major waterfalls, which are all very impressive. We spent an entire day on this massive mountain and felt like there was still so much more to discover! There are quite a few ticketing points to enter certain places like the National Park, the Pagodas, and you even have to pay to see some of the waterfalls … so the cost for this day trip does add up, but it was very much worth the experience. Will be writing a future blog post with more detail about this particular Day Trip soon. A very nice little lake, surrounded by mountains and modest villages. This was a 40min ride with our scooters and I came here twice, for sunrise and sunset. There is one very small eatery by the lakeside with numerous bamboo huts, which were so cozy and so beautiful. Don’t expect too much in terms of markets and food, this is a very quiet and rural local area. A day trip I can highly recommend for sunrise! This is such a beautiful, yet fun and quirky area. It’s a large lake (technically reservoir) lined with bamboo huts and lots of food and drink stalls with a hilly landscape backdrop. One of the biggest attractions there is the King Kong like film set and large animals made of straw. There are also other activity providers such as zip lining and kayaking. It only took about 30 mins by scooter from the city centre - would suggest taking the small rural streets over the main roads when you can, as the local villages you pass through are so much more scenic. Would allow a good half day for the trip. 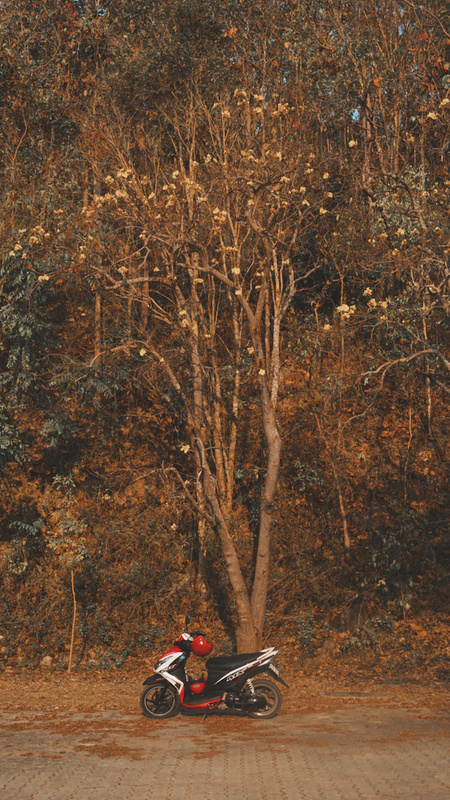 If you prefer a more local scene, then Mae Kwang Dam is a good place to go. It’s much further away - the journey took us about 1hr by scooter and it was definitely a more adventurous route. There are a few nice local eateries in the area and scenic bridges you can cross - but during our visit, parts of the road near the bridge were dirt tracks. Overall, this is certainly a very nice getaway from the bustling city. Definitely the best way to get around Chiang Mai! It’s a free app, which you can download on your phones and it basically works like UBER, but a South East Asia version: Cars are all super clean and very comfortable, takes between 1-5mins usually to get a ride in the city centre and they are so so much cheaper than those Red Taxis and Tuk Tuks!! Some of the Red Taxis and GRAB drivers also double up as private drivers - they can literally take you anywhere, anytime, and all for a very affordable price. You arrange the time, approximate number of hours and a fixed quote. Payment is usually made in cash at the end. This is much better than renting out a car yourself because these drivers know the roads, so you don’t need to deal with the stress of getting lost or organising a car rental. The most expensive option but also very convenient because they are everywhere - and those Tuk Tuks are certainly an experience you should try at least once. You really have to barter with them because they often triple the prices for foreigners and these rides can be quite expensive. I would highly recommend renting out a scooter - but only if you are a confident rider! The traffic in Chiang Mai is very chaotic and many locals don’t follow traffic rules or indicate when turning, making it rather dangerous and uncomfortable if you’re not used to it. There are scooter rentals everywhere for about $8-10 USD per day. Police checks happen often on the main roads between 9am-12pm, during which I would highly recommend taking the smaller streets. Cat Motors was my scooter provider and they have an excellent website with lots of safety information for foreigners riding scooters/motorcycles in Thailand. Unlike many other providers, they really care about your safety and even offer insurance. Their location is right in the city centre, which is super optimal. Would highly recommend checking them out. Sightseeing in the city by bike is not going to be as carefree as one might think. There are no designated bike lanes, so you are either on the pedestrian path with lots of people or on the road with cut-throat Hunger Games traffic. But it is a safer and cheaper option if you don’t feel comfortable on a scooter. If you are in the more rural areas, then cycling around the countryside villages is one of the most relaxing and beautiful activities you could do. Definitely the most affordable option for long distance travelling. If you are able to endure tight spaces, sharp turns and crazy Thai traffic then this might be for you. The costs are a fraction of the price of trains, but you do pay for what you get. 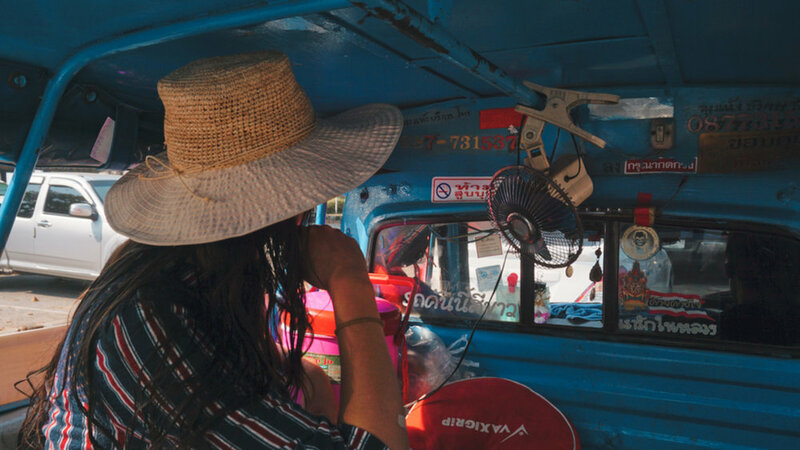 It’s definitely a hit and miss, sometimes you get air conditioning, sometimes even the fans don’t work, while other times you get an open air bus with a very shallow roof - it’s always an adventure that’s for sure. Trains are a much more comfortable way of travelling long distance, but of course you pay quite a fair amount more for this luxury. Chiang Mai has a rather big station and heaps of train connections. You can get a direct train all the way to Bangkok. They also serve you meals and the seats are quite comfy. One of the best value for money accommodation was the Lanna Boutique Resort . We stayed here longer than we originally planned, just because we loved the atmosphere so much. It’s about a 30 mins walk into the city, therefore we would recommend having a bike or scooter as a mode of transport - this is probably the only downside. We stayed in their middle category room with our own bathroom and very comfortable double bed. We really liked how spacious it was and the balcony outside. The their amazing buffet breakfast and beautiful swimming pool was the icing on the cake. Thoroughly enjoyed our stay here and we can only highly recommend it. This is a real life Smurf Village dream come true! 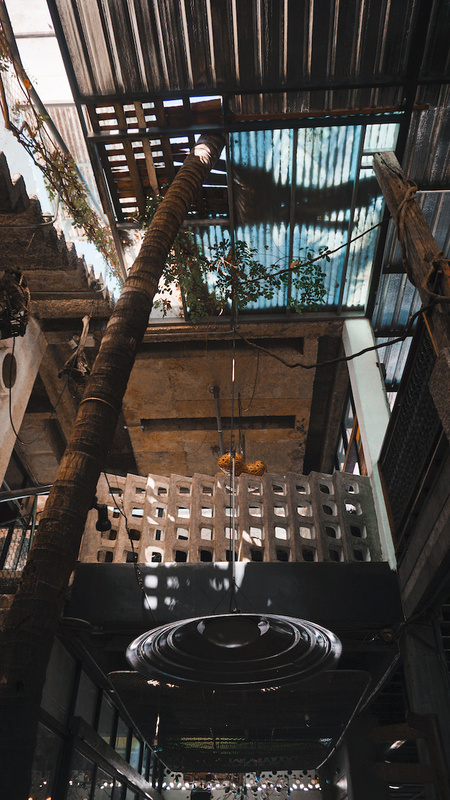 This eco-friendly paradise is home to a cluster of the most intricately handmade clay houses, which take on various shapes such as Mushrooms, Peanut, Snail and Lotus. 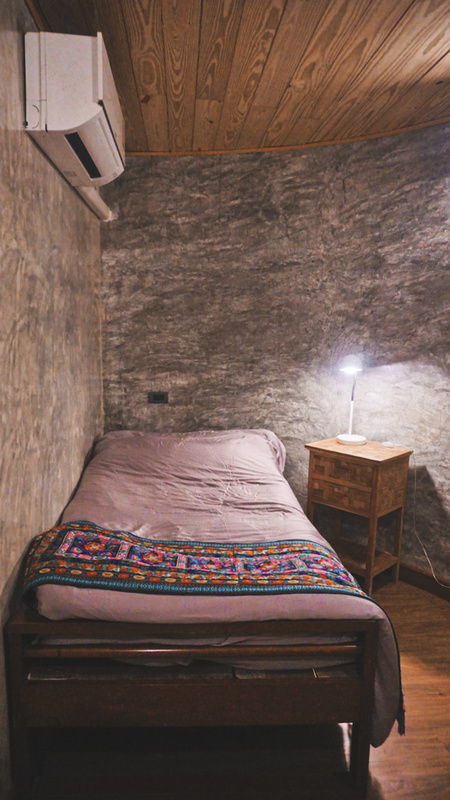 We stayed in the Mushroom House and found it to be super cozy, very clean and the beds were super comfortable. Located on the outskirts of the city centre, this was the best getaway from the hectic city centre. The only thing you should consider is having a mode of transport (scooter) or you will have to rely on the red taxis or GRAB. The whole property is basically one beautiful gigantic garden with a little creek at the back. The hosts were so lovely and gave us a very nice tour of the place. Super convenient location, it’s near the Train Station and Night Bazaar Market. This particular area is also home to some excellent local markets and eateries. All the sights and markets are within walking distance. The private rooms are rather modest, but the beds were comfortable and it’s nice to have your own bathroom and air conditioning. We really loved the atmosphere and the community feel of the place. Our host - Boyd, was so helpful and full of excellent recommendations. I would highly recommend this to longer term stayers (a week or more). He also owns another (smaller) property very close by called ZZ Hostel and this is more of a hostel style with Bunk Beds and shared bathrooms. I personally didn’t stay at this hostel myself, but I was invited over by some friends who were staying here. Definitely a backpacker paradise with hammocks, outdoor sleeping areas, and bamboo thatched huts down by the riverside. It’s especially nice being so close to the water front and the atmosphere is very chill and very cozy. Considering the (very) affordable price and the excellent location, I can highly recommend this place for those travelling on a budget. Chiang Mai is full of digital nomads for a reason - there is excellent WIFI connection nearly everywhere you go, including that of small local restaurants. The connection speed is faster than that of many first world countries, it’s amazing! Because there is WIFI everywhere and is so easily accessible, you don’t really need a Thai Sim Card - but it might come in handy if you need to make calls to local numbers or if you’re going off-grid for a while.